I have had the toughest time trying to figure out how to cook using a slow cooker. I’ve tried different recipes from different cookbooks and websites, and I’ve tried using different meats and/or vegetables, but 9 times out of 10, I end up with overcooked slop. I’d love to hear how you mastered the slow cooker! The only other recipe that I’ve had success with is this slow cooker pulled pork. So I tested this fish recipe a few times and even had John (a beginner in the kitchen) make it once by himself before I shared this new favourite slow cooker recipe with you. We love this dish. 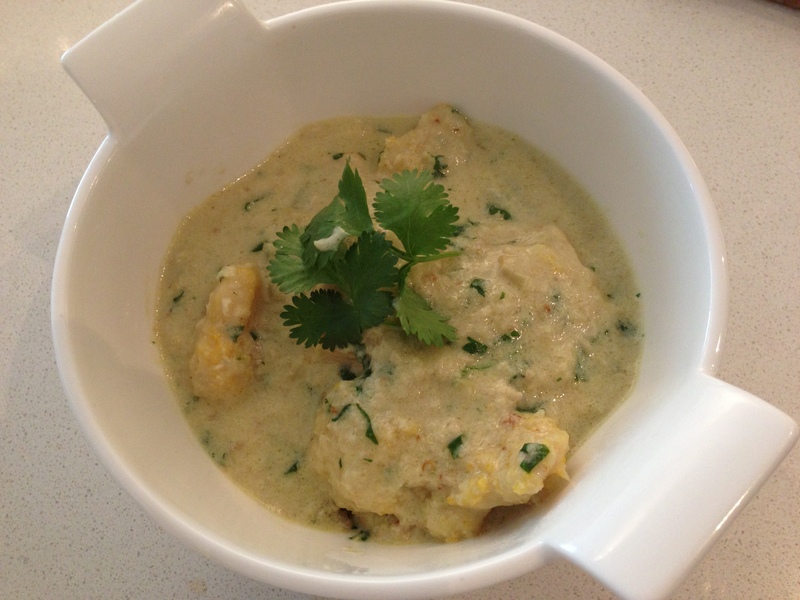 It is Thai inspired, mild, and light yet creamy. My family approves of this dish too, and that’s saying a lot because they strongly dislike slow cooker cooked food. 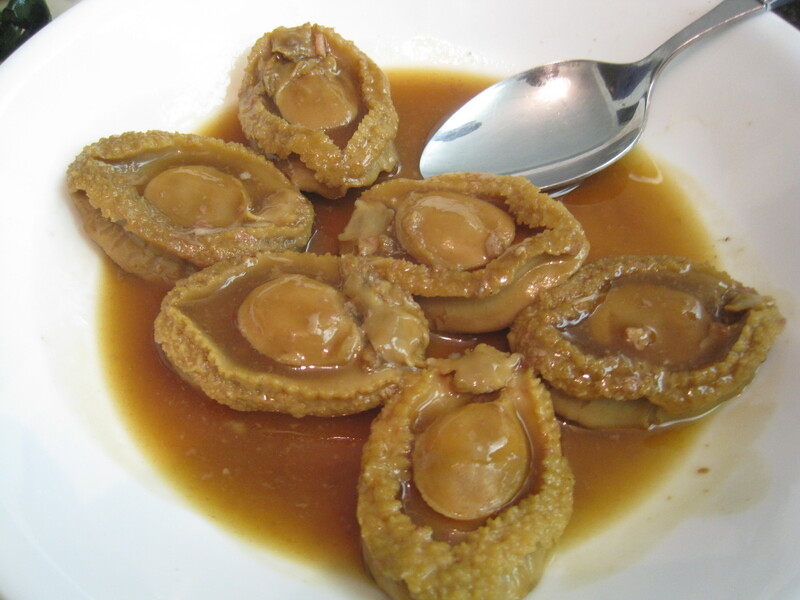 But I should warn you, this recipe requires a bit more work and attention than typical slow cooker recipes. In my opinion, it’s worth the extra effort, because your meal won’t look or taste like it came out of a slow cooker. I traveled to Malaysia for the first time in May 2013. It was an amazing food experience and I am excited to share what I learned about Malaysian cuisine with you. The best part of the trip was watching my dad enjoy nostalgic food from his childhood. While souvenir shopping in a Malaysian grocery store, my dad spotted a bottle of cincalok and told me that when he was a child, his family’s servants would toss nets into the ocean during shrimp season to catch tiny shrimp for his mom to make cincalok from scratch. After hearing that story, I had to bring some home. When eating in Chinese restaurants, my family often orders deep fried squid or deep fried octopus tentacles. We love the simplicity of the salty, peppery, and spicy coating. The tentacles (squid or octopus) are my favourite part, because they tend to be the crispiest and I love the chewy, almost crunchy, texture. You can easily make this at home. 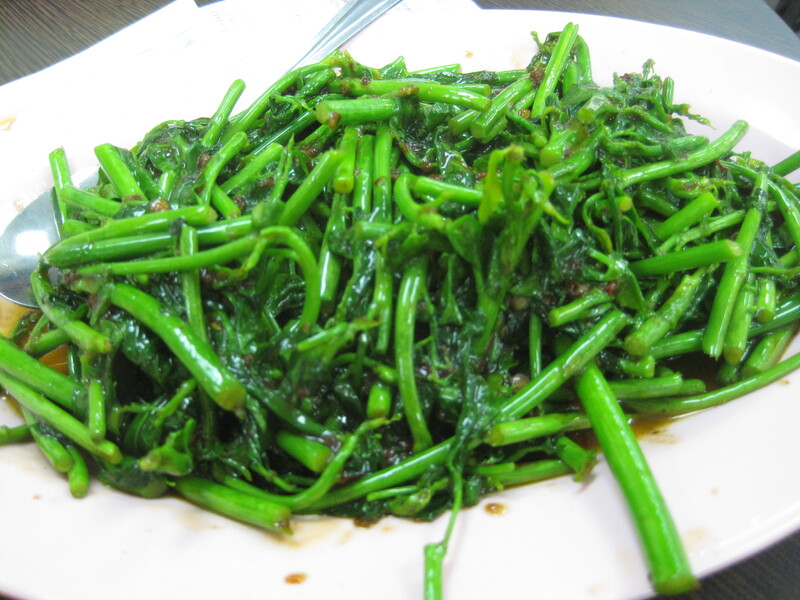 In fact, you can easily make it better than the restaurants. A few days after I made this dish for my sister, she ordered it from one of our favourite restaurants and she thought that my dish was better and crispier. If you feel intimidated by the tentacles or by working with fresh squid, you could use calamari rings instead. I love introducing people to garlic shoots (also known as garlic scapes – note, that’s scapes, not scraps 😉 ). I make this dish often and people always love it. In North America, the green shoots that grow from garlic bulbs are usually discarded. But these garlic shoots, when harvested while young and tender, are actually very tasty and have a light, garlicky flavour when cooked. 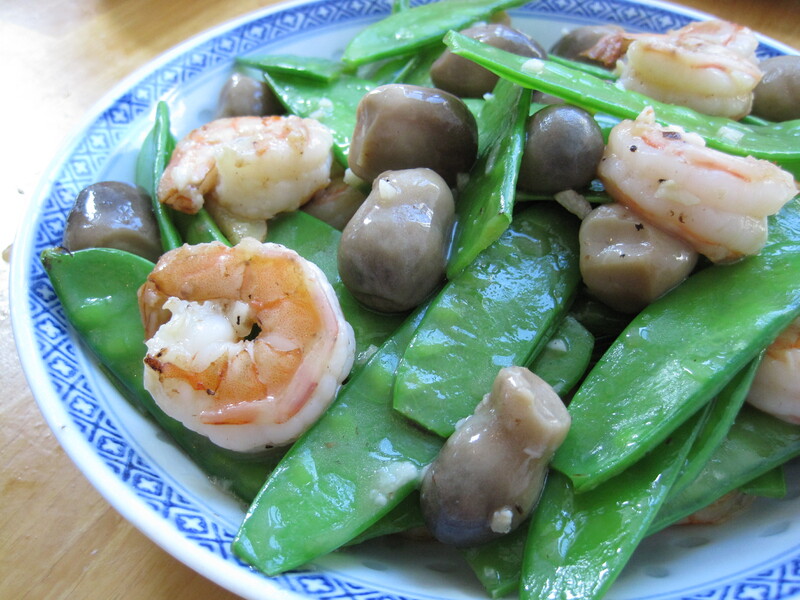 You can find it in Asian grocery stores and the younger the better, so you want to avoid the really darkly green coloured shoots. 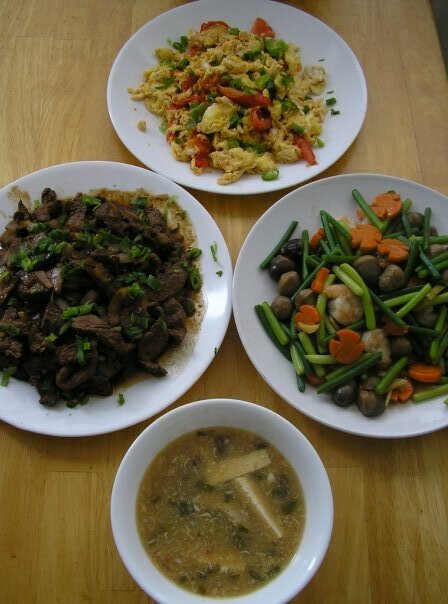 Picture above from top moving clockwise: tomato eggs, stir fried garlic shoots with shrimp, hot and sour soup, mongolian beef. See the Asian category for the rest of the recipes. 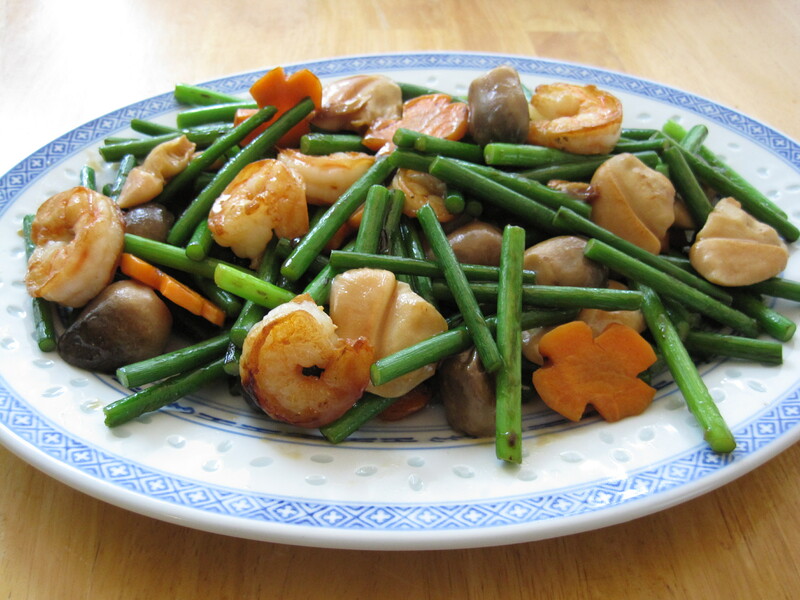 Picture below: Stir fried garlic shoots with shrimp and pacific clams. 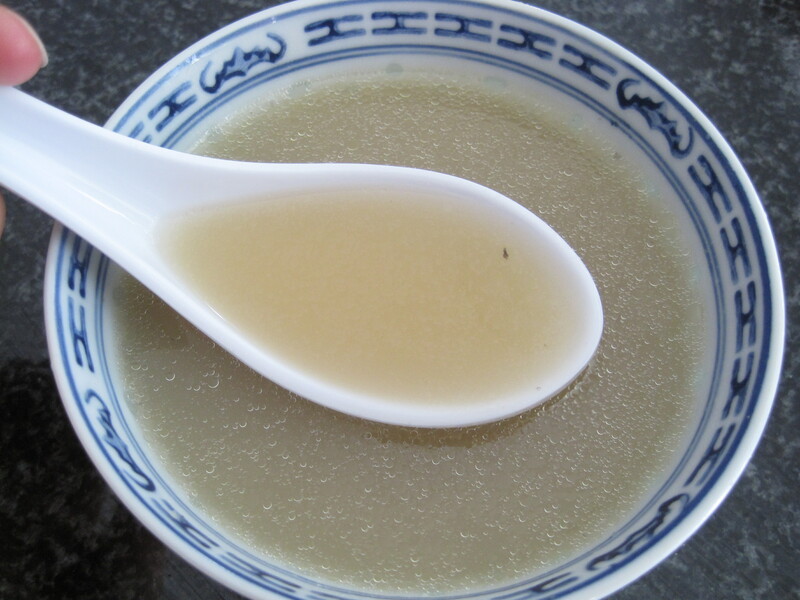 It is not uncommon to see egg dishes served at dinner in Chinese homes. 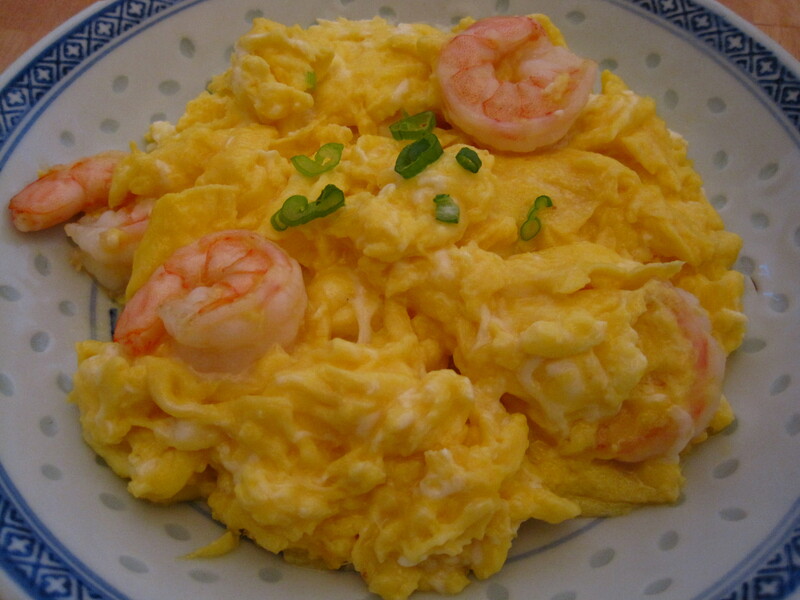 This Chinese scrambled eggs with shrimp dish is one of my favourite dishes. As simple as it is, it might take you a few tries to get it right. The only difficulty lies in not overcooking the eggs (or the shrimp). It tastes best when the eggs are in thin sheets that are still wet and slightly runny. 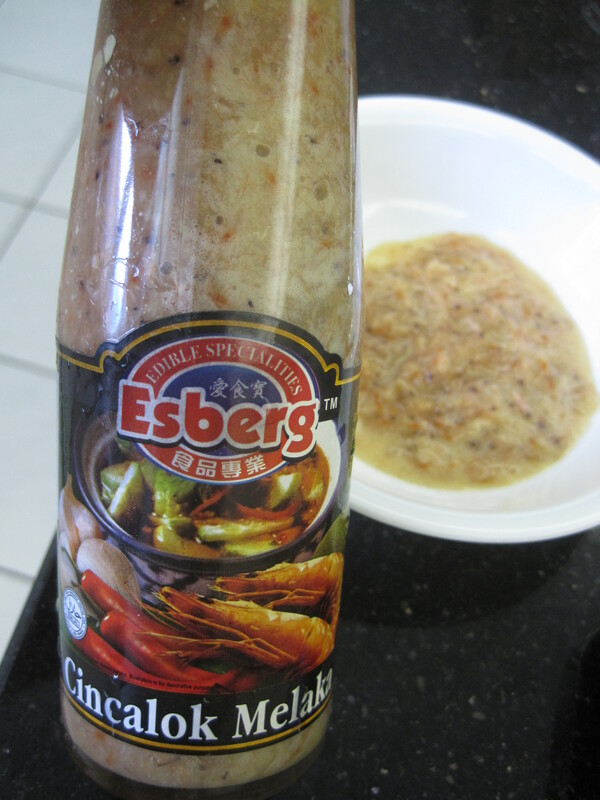 I like to keep the seasoning very light to enjoy the taste and simplicity of the two main ingredients. Curry fish balls are a Very popular street food in Hong Kong that are usually served on wooden skewers. 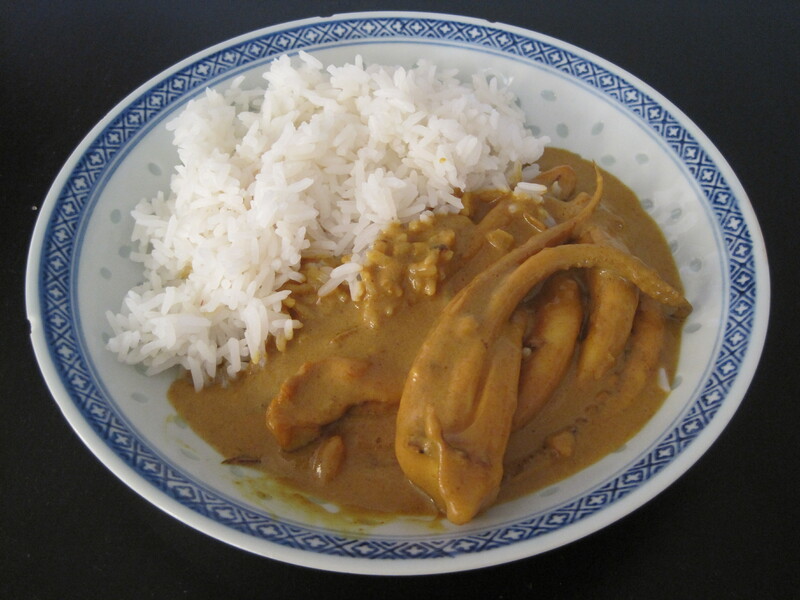 This is a mild, yellow curry. 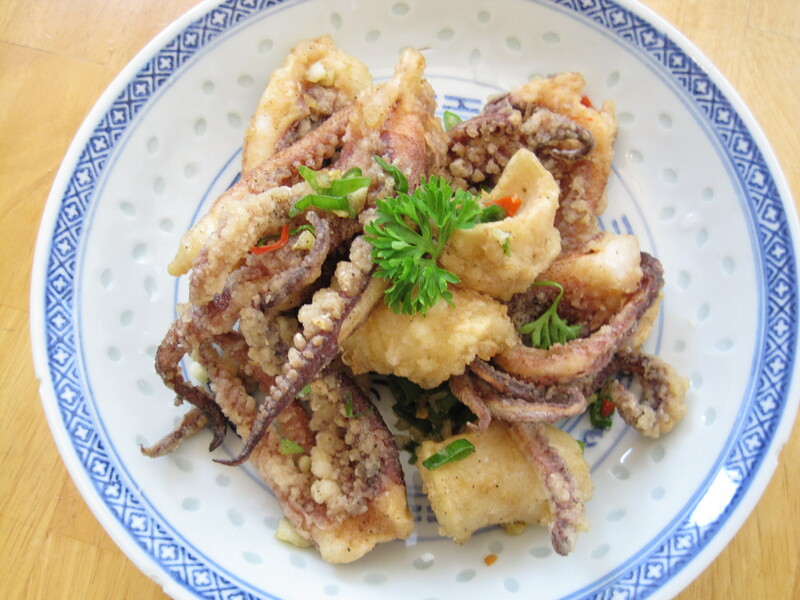 At dim sum, you can get curried squid or baby octopus. 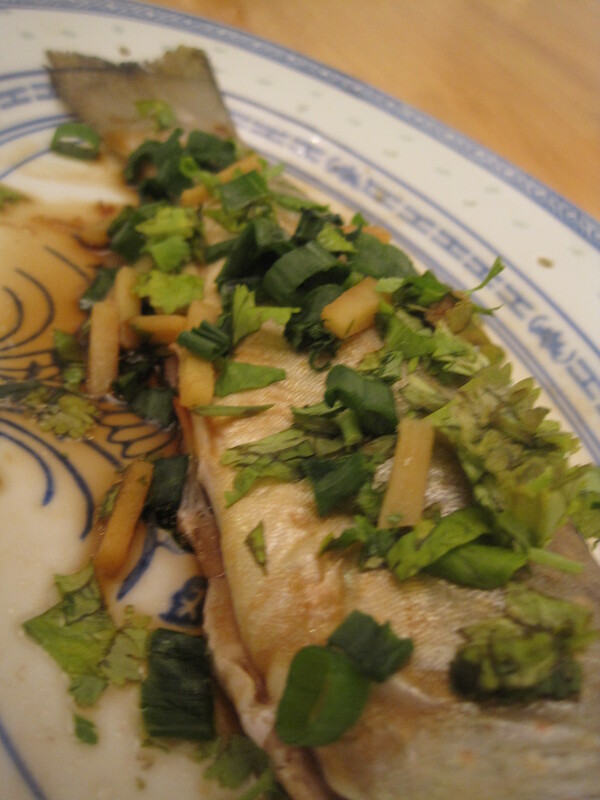 In Chinese cooking, white fish are often steamed whole (in restaurants and in peoples’ homes). Steaming fish until it’s Just cooked is incredibly easy, healthy, and gives you a Very moist fish. It’s my favourite way to eat fish. By the way, the cheeks are the best part of the fish so you should definitely try it if you haven’t already. Note that the fish in the picture below is missing its head. Normally the fish is steamed whole, but when I caught this fish ice fishing at the Winterlude Festival in Ottawa, Ontario, the people running the event gutted the fish and removed the head.